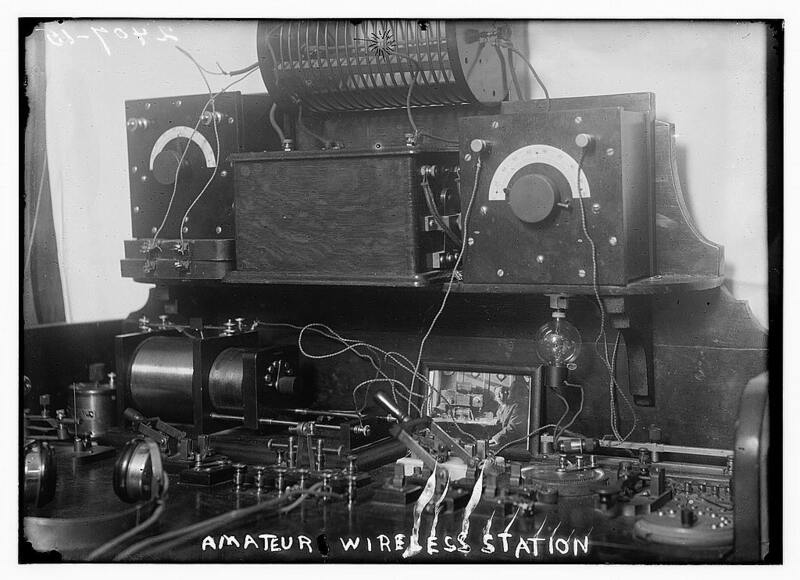 In reference to the image above: “Amateur Wireless Station” — Ha! That’s a perfect nickname for my office. Freedom. You’re not tied down to any one place or time. Work anywhere in the world, work while traveling, sleep when you like and as much as you like, and always be available for family and friends. Control. You’re not beholden to anyone. No bosses, no supervisors, no mandatory meetings, no quotas, no performance reports. Pay. You decide what you get paid and that usually means you’re not getting paid slave wages. Opportunity. Since you’re no longer bound by the geographic limitations of most jobs, you’re now part of a global industry and can reach and work with people on all kinds of projects, from all around the world. Freedom. Believe it or not, too much freedom can be a bad thing sometimes. As pattern-seeking humans, we crave structure, organization, and discipline. Without a fixed schedule, sleeping habits can get a little weird sometimes, which isn’t great for mental and physical health. As I mentioned in the pro, you have open-ended time for family and friends. Sometimes, that can be burdensome. Psychologically speaking, since you’re not getting up, leaving the house, and going to an office, and because you’re at home, most people have a hard time seeing or understanding that you’re “at work” and can expect you to always say yes to whatever request it is they have and annoyed when you explain that you’re busy working, as they think you’re just making an excuse. Control. Too much control takes much more brain power and can be stressful. Yes, you can do as you like, but you’re now responsible for all positions required to run a business or profession. You’re the boss, the accountant, legal, sales, customer support, etc. You have no support structure to just focus on one department, you have to do it all. Not everyone is cut out for that. Pay. While you might be getting paid what you deserve, that doesn’t mean you’re getting a steady paycheck. The freelance or entrepreneurial lifestyle means that you’re going to have great times and you’re going to have low times. Working from home isn’t really anything new. In fact, it’s really how it all began, that is: commerce. The very origin of people’s names often came from their trade: Smith, Baker, Shoemaker, etc., and their workshops were also their homes. People can get fixated on the way things are “suppose” to be, as if there were some sort of official rules, when in fact, it’s all made-up. In the beginning, people made up a service and then provided that service, period. For anyone who wants to go into business for themselves, I think this has always been the first step, to resist conformity. Some might call it “thinking outside the box”, but honestly, I think those who are truly creative don’t “think outside the box”, they have an epiphany one day that there is no “box”, except for those make-believe ones that many people imprison themselves into. Every generation is smarter than the last, exponentially, that is, while technology also continues to advance. On one hand, that’s great for the global community as a whole, but is very damaging to self-employed people like myself. In 2006, the fact that I could build a website for someone was actually fairly unique. In 2016, the playing field has been leveled. There is so much competition, it gets harder and harder all the time to keep my head above water. The current climate we live in now is so bad that even if you have a million dollar idea, you’ll find that 10 other people have already done it, and if they haven’t, and you do it, either no one will ever know or care about it, or someone will come along who doesn’t even necessarily do it better than you, but has the money to get more eyes on it. This article is starting to feel more discouraging than where I was originally going with it, but that’s not true. I think where I’m going at this point is that it’s still very possible to make money from home, but if you’re not prepared to work hard, to push your creative boundaries, endure the downtimes, put up with your friends and family telling you that you can’t do it, you may just want to reconsider going back and looking at what 9-5s are available. Hey, even I’ve seriously considered going back and getting a “real” job, things have been so rough lately. I won’t pretend that it might not still come to that, but I’ve managed to remain self-employed for the past decade and continue to do so… at least for now. If I do have to “go back into the office”, will I consider myself a failure? Although I don’t consider failure to even be a bad word, no, I won’t view it like that. I’d view the 10-year-run as a success and the getting a job aspect a temporary change in my career. It’ll be disappointing and difficult, don’t get me wrong, but nothing lasts forever, good or bad. By the way, I should mention that what I just admitted, about having a hard time, I know first-hand that many others in my industry, web designers, marketers, writers, etc., are also in the same boat, but very few will openly admit it. There’s always this unwritten fear that you have to pretend like everything is a-okay or you’ll jinx it. Marketing wise, these people want to pretend like they’re all the best, that they’re not struggling at all, or they won’t get hired. I’ve tried to get insight from others, and even privately, some simply won’t admit that the market has become over-saturated and that they’re affected by it. I think the ultimate point I’m finally reaching is that if you’re going to do this, you have to have the stamina to keep trying. Not try, fail, and give up, but repeat that over and over… and you’re going to fail a lot. Success is subjective, but whatever you consider success, I think it’s impossible to reach it without failure. Failure is learning, so learn to fail with grace. Important Note: I don’t participate in fanboy behavior. I don’t recommend a specific brand or service because it makes me feel all warm and fuzzy, it’s because I have tried all the popular alternatives and it really is my best recommendation based on my 10+ years of experience. Take it or leave, but I’m not looking for any debates. Computer. I recommend Mac, but use whatever you want or can. Of course, it all starts with a computer. Beg, borrow, or steal, but without a computer, you’re dead in the water. You might get away with using a friend’s or library’s computer at first, but that’s not secure and can’t last forever. You need a computer; you need your own computer; you need a fast and reliable computer. This is your most important tool, what a hammer is to a carpenter, or what a tow truck is to a tow truck driver. Internet. You need to have fast and reliable internet. There’s no sense in my recommending a specific service because you can only get whatever you can get for your area anyway. Get the fastest internet available to you. Pay the high bill if you can; it’s an important and justifiable expense. Browser. I recommend Firefox. Firefox is the browser of choice for digital professionals. It’s secure, highly customizable, and simply has more add-ons than any other browser for extensibility and productivity. Email. I recommend Gmail. 1. For stupid, superficial reasons. People are judgmental. They will doc you points for using Hotmail, Yahoo, AOL, etc. As silly as it is, it does help with being taken more seriously as a professional. 2. Because Gmail really is better than all other email services, hands-down. It’s faster, more secure, and much easier to organize with threaded email conversations, labels, and filters. Branding. Whether you’re just going to use your own name or come up with something creative, here is an awesome tool to see what’s available in way of domains, social media usernames, and trademarks. As for picking a brand color or color scheme, I personally just use Photoshop, but there are many tools to help with this process. Website. Even if you decide to skip the branding process, do not move onto trying to find work until you have a website in place. Even something simple, just one page, is better than nothing. Applying for digital work without a website is like a businessman schmoozing at a cocktail party without business cards. There’s no delivery, call-to-action, closure to an interaction and you’ll just be a name, soon forgotten. I recommend Bluehost for hosting. Social Media. Even if you’re not personally interested in using Facebook and Twitter (I’m not), do it. Sign up for all of them for your brand: Facebook, Twitter, LinkedIn, Google+, etc. Just do it and link them to your website. Classifieds. craigslist will probably both always have the most scams and spam and the best legitimate remote gigs. You just have to train yourself to skip the garbage gig titles and spot the promising ones. Micro-gigs. Fiverr is the most popular. I mention this and craigslist first because I think they’re the best training grounds for beginners. Everything else. GigDig is a compilation I created of all the worthwhile websites I’m aware of to find remote work. It’s open for anyone to vote on the best or submit other job/gig sites. My own. RemotelyHireMe is my attempt at creating a site for remote gig listings. My goal is to create an affordable alternative to similar sites and something highly minimalistic and easy to use. Believe it or not, minimalism is actually pretty difficult, so I’m proud of this little bugger. Also, I forced myself to use yellow in the branding, a color that I’ve greatly ignored because it’s difficult to use. PayPal. Again, like social media, it does not matter how you feel about the particular service (PayPal seems to be unliked by many), just do it because it’ll make most of your clients, readers, fans, whatever, happy. Despite what you think, PayPal is very much the easiest way to pay and get paid. Stripe. Stripe is the first payment processor to come along that actually might give PayPal a run for its money. Although it requires a little more tech-savvy to set up and doesn’t process payments onsite like PayPal, meaning you’ll need to set up SSL encryption and code on your own website to process payments, it does have one really cool feature that PayPal does not: automatic transfers to your bank account. We’re just scratching the surface here and there is endlessly more to discuss and further recommendations I could provide, but these are the most important ingredients for your working-from-home starter kit. With these fundamental tips, the whole world has just opened up to you. When it comes to working remotely, truly, I’ve seen it and done it all, so feel free to ask me anything in the comments below or join the Slack chat community my buddy Trent and I started. Ask me to expand on why I’ve recommended certain things or get my recommendations on areas not discussed.